Formed in 2017 for their debut concert at the Orgelpark in Amsterdam, featuring the work of composer and artistic director Kate Moore, Herz Ensemble is an eclectic collective of outstanding musicians who share a common aesthetic and ravenous appetite for the raw energy, creativity and vitality of new music. Having worked together on numerous projects spanning more than a decade in a variety of ensembles and orchestras, this collective of musicians was brought together by Moore to perform and record her major works and curate that of the works of her contemporaries. Officially coming together as a recognised group after the performance and release of Moore’s Herz Cycle upon which the name of the ensemble is derived, they shared her Zielsverwanten artist residency for the concert season 2018-19 at The Muziekgebouw aan ‘t Ij, performing two critically acclaimed concert programs entitled Night of the Tarantula and xgenx. Alongside Capella Pratensis, Wishful Singing and Temko, Herz Ensembled premiered Moore’s 2018 Bosch Requiem for November Music in ‘s-Hertogenbosch, a 60-minute major composition venerating the historical and sacred nature of this city. On top of this they have commissioned and premiered works by Cat Hope, Brisa Gonzales, Celia Swart, Amba Klapwijk and Karmit Fadael and performed the Dutch premieres of works by Andrew Norman, Linda Buckley, Jobina Tinnemans, Lachlan Skipworth and Marie Guilleray. Their incentive is to celebrate inclusivity and diversity in all its forms, styles, ages, locations, colours and genders with the aim to break down borders and to open all the doors. 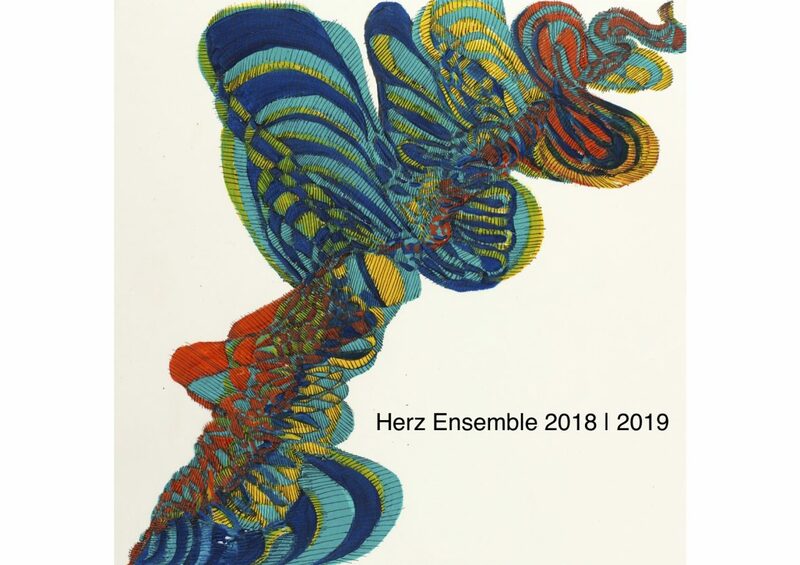 Herz Ensemble is an International Collective of Musicians brought together by composer Kate Moore with a core group based in The Netherlands! Book us – we love playing! !